Put the word “steakhouse” out there when you are asking me where I want to eat, and I will pick it ten times out of ten. However, a Brazilian steakhouse seems even more intriguing. 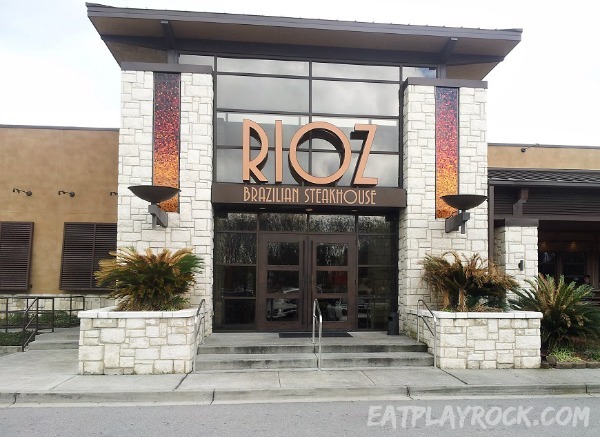 Rioz Brazilian Steakhouse in Myrtle Beach, South Carolina, did not disappoint. In a word, it was delicious. I could think of several other adjectives to describe our experience at Rioz Brazilian Steakhouse as well; fabulous, fun, exciting and tasty come to mind right off the bat.